Cabinet Office Minister Francis Maude recently spoke at the Treasury, praising government buyers for their work to save taxpayers money. · £380 million on advertising and marketing. This amounts to £3.8 billion in savings from its cost base, and beats the government's total savings target for the year by 25 per cent. Clearly the work is far from done. The government intends to increase its savings over the next two years, with a target of £15 billion for 2013/14 and £20 billion for 2014/15. 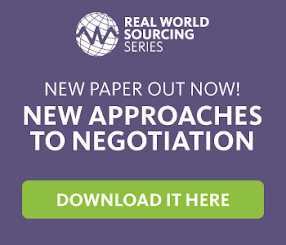 Many organisations, both public and private, still view procurement as a tactical function. But this message tells a different story, and shows how the government is increasingly relying on procurement to move them forwards.